The growing popularity of the pickup trucks is evident and more models continue to appear on the roads. While the full-size truck dominates on the sale charts in the US the mid-sized models get more attention on the global market. The mid-size segment is also growing stateside and the reintroduced Ford Ranger could become a hit soon. Tesla is also getting closer to the launch of the electric truck and unibody Hyundai Santa Cruz should also be unveiled soon. The question is, could more brand appear on the market? Mercedes entered the race recently with the Navara-based, premium X-Class truck and that instantly inspired the talks about the possibility to get another premium model from the German carmaker. We are speaking about BMW which already launched several mini-truck concepts but has never shown an interest in entering the market. 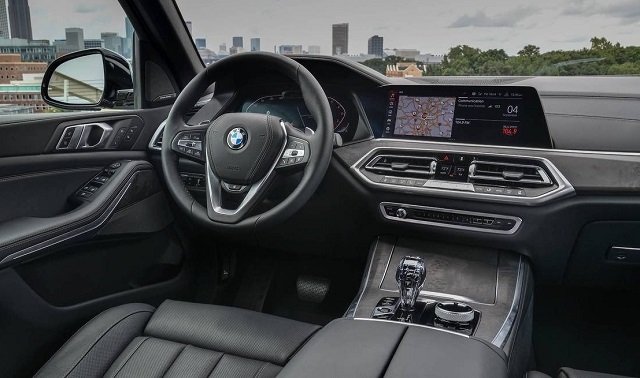 BMW commented also on the matter recently saying that the premium side of the market is still too small and it has higher priorities now. BMW admitted that the Australian market would be a solid ground for the new truck model but underlined that the brand has priorities in electrification and semi-autonomous tech. So, the truck from BMW is far away from the brand’s current perspective but the rumors already have an idea how the 2020 BMW Pickup Truck would look. The biggest problem for the 2020 BMW Pickup Truck would be the platform and designing it from the scratch would take much time and money and BMW wouldn’t likely follow that route. Another option for BMW is a joint venture with an already established truck maker and Toyota could be the partner. Two brands already have joint projects including Z4 and Supra and BMW truck could borrow the underpinning from one of Toyota’s trucks. Toyota is actually working on the new global platform which will be used for the new-generation Tacoma and Tundra and could also be a solution for BMW’s mid-size truck. However, there is also an opinion that the use of the unibody design would the best for BMW and cut the cost of the development while providing increased towing capability over the SUVs and better ride quality than the body-on-frame trucks. From the visual point of view, there is no doubt that BMW truck would borrow the styling cues from the brand’s recent SUV models. Actually, the truck would likely share plenty of the styling with the SUV models starting from the front side and back to the C pillar. The kidney grille would have a similar form as on the latest SUVs and the headlights and body sculpting would also be very similar. The cargo bed and tailgate would have conventional style with the possibility of a unique solution for the tailgate design. The BMW Truck would likely come in the crew-cab form only. 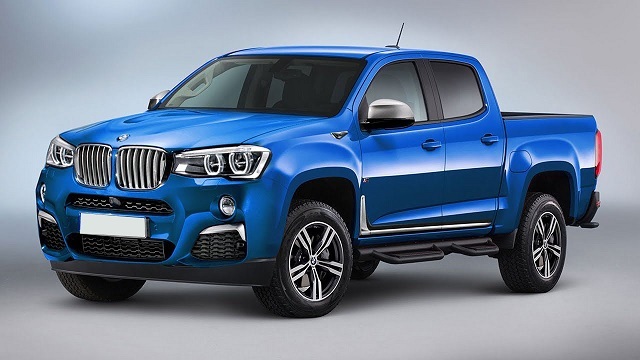 The BMW-badged truck would be another premium truck version alongside the Mercedes X-Class. The model would get high-quality materials and use similar dash and interior designs seen in the latest models. There would be a large center screen and available digital instrument cluster. The high-comfort features like the heated and ventilated seats, stitched leather, and more would be available. The truck would also equip the latest crash avoidance technologies and be one of the most sophisticated models on the road. While obtaining the platform for the 2020 BMW Pickup Truck would be a great problem for the brand, the powertrain wouldn’t. The truck could use a 3.0-liter turbodiesel inline-6 engine with power around 250 hp and torque in 400 pound-feet range. The gasser 3.0-liter turbo-6 would also be available with power in 300 hp range and combined with 8-speed automatic transmission. The truck could also get the M performance version with the 4,4-liter bi-turbo V-8 under the hood. The power from this engine would be in 600 hp range. There could also be the possibility of the electrified powertrain combining a 3.0-liter inline-6 engine or 2.0-liter turbo-4 with the electric motor and battery. The 2020 BMW Pickup Truck would be great to be seen on the road but we don’t have any evidence that BMW is considering it in the near future. This kind of truck could have a starting price in the high-$50,000 range.